We’ve said it before, but once again we’re extremely proud of the young people who have taken part on the Making Tracks programme. 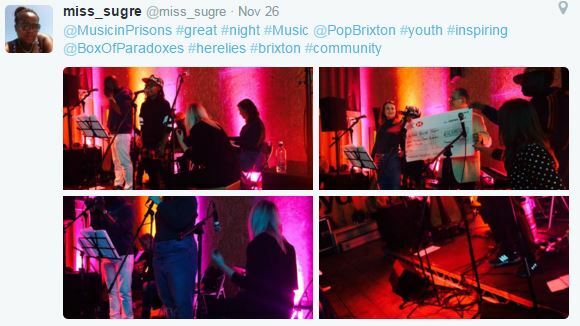 They made last Thursday’s event at Pop Brixton really special, both with their superb musical performances and their open and heartfelt speeches about how the programme had affected them. 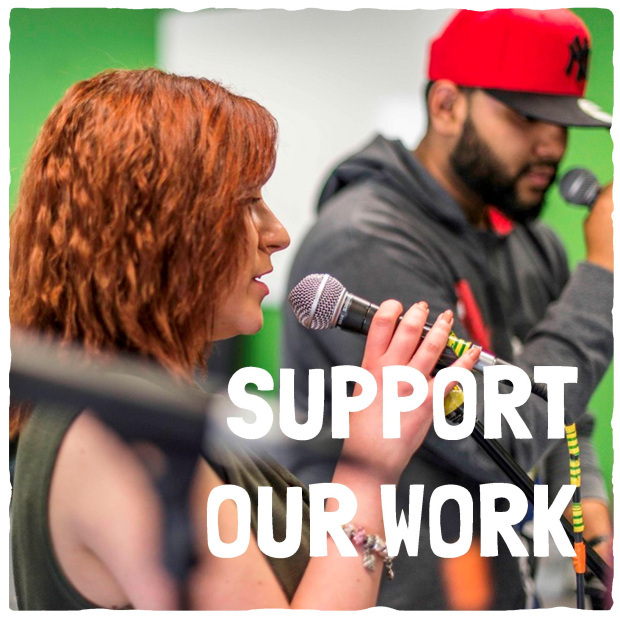 Primarily the event was a showcase opportunity for three Making Tracks alumni, Helen, Nirobi and Terell (aka Paradox) who have all completed the programme and then returned to assist further groups of young people as a Making Tracks mentor. As well as being very musically talented, the commitment they have each shown to helping others has been admirable. It was lovely to have such a big and appreciative audience filling the Pop Box ready to enjoy the show. The MC for the whole evening was the brilliant Terell (aka Paradox). He did a fantastic job of keeping everything running smoothly. The Making Tracks alumni performed six original songs, including a new whole-group track, Ghost, which brought the evening to a rapturous close. The audience were clearly very impressed by all the music and made it known with their applause and post-show tweets! Assisting musically were two of our Sounding Out alumni, Gary and Adrian (aka Tru Star), Royal Academy of Music Open Academy student Sunshine, who provided some beautiful and inventive accompaniment on the harp, and Project Leader extraordinaire Emma. Our Personal Development Manager Hermione co-ordinated everything on the day and during rehearsals and Creative Programmes Manager Jake was responsible for all the planning. 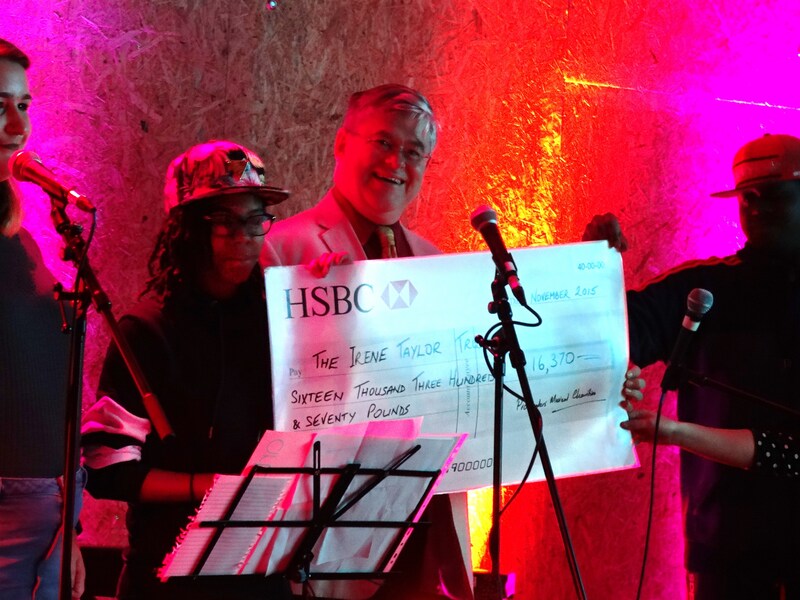 Another highlight of the evening was the presentation of a ceremonial cheque by Andrew on behalf of the Promenader’s Musicial Charities, for their allocation of donations given by this year’s generous Proms goers, to support upcoming Music in Prisons projects. 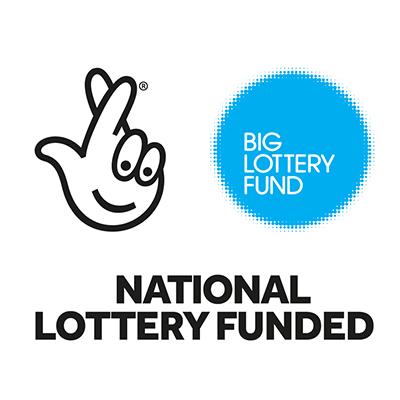 Our thanks to Andrew for coming along – the audience loved seeing the big cheque. Thanks also to St Mark’s Church for providing rehearsal space and Pop Box Brixton the performance venue. 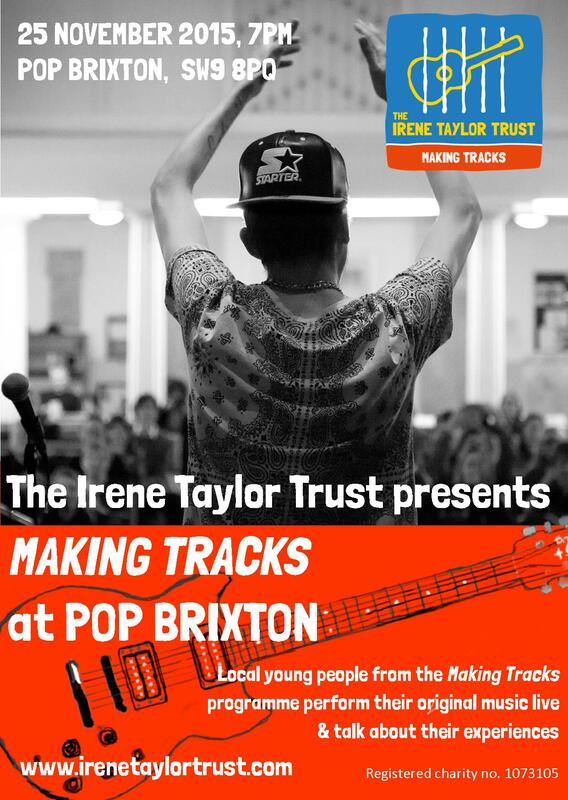 The staff at Pop Brixton were very helpful and friendly and the Pop Box proved a marvellous platform for the young people to display their talent. Last but not least, thanks to everyone who came along to cheer on our Making Tracks stars!